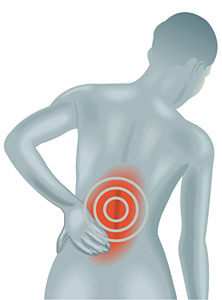 Back pain is one of the most common reasons for going to the doctor as well as missing work. It decreases your quality of life and can cause you to miss out on activities you would normally enjoy. Acupuncture treatment of back pain is a safe, effective method to reduce and treat back pain without medication. Acupuncture works by stimulating the natural healing mechanisms in your body. Acupuncture is over 2000 years old and has a long record of treating back pain. This is accomplished by relaxing the back muscles, stimulating the release of anti-inflammatory chemicals, and regulating how the brain feels pain. Chinese medicine and acupuncture theorize that there are underlying imbalances in the body which leads to chronic lower back pain. A successful acupuncture treatment must be tailored specifically to what is going on with your back. 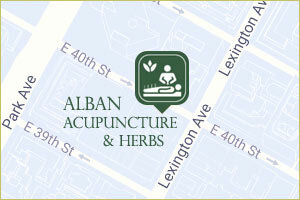 Acupuncture needles are placed in specific points to correct the imbalances that can cause back pain. Stagnation occurs when there is a blockage in the flow of energy through the back. Trauma, stress, or injury can cause the qi flow, or energy flow, in the body to slow down and get stuck. When there is no flow, pain develops. Car accidents, sports injuries, and stress can all lead to the development of stagnation. Another imbalance is called deficiency. A deficiency implies that there is not enough energy in body. The body needs qi, or energy, in order to function healthfully. Gradual, slow, chronic onset of back pain can be a sign that there is not enough energy, or a qi deficiency. Sometimes there is a combination of both a deficiency and a stagnation. This can take place over an extended period of time, for example, after a car accident. Pain and discomfort will linger, with no improvement, and can worsen over time. Lower back pain treatment will most often be focused on the back itself. Needles will also be placed in other areas of the body to stimulate and increase production of the energy. During the initial acupuncture visit, there is an examination and assessment to determine the root cause of your back pain. The acupuncture treatment is then individualized for your specific issues. An effective acupuncture treatment may include electro -acupuncture stimulation along with the traditional needles. Other therapies including acupressure, also known as shiatsu, a hands-on method of clearing blockages in the energy flow, or cupping, also very helpful for treating chronic lower back pain. For some people ear magnets, or auricular acupuncture, is very powerful for pain relief. The proper combination of these treatments leads to profound and long term pain relief.